Total cook time: 25 minutes (If you're cooking rice). 1. If you haven't cooked your rice yet, cook it according to package directions. If you already have rice, heat it up. 2. 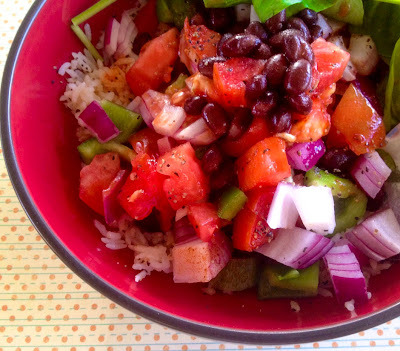 While rice is cooking, chop the veggies and drain the black beans. 3. Once the rice is ready, mix in ½ tbsp. olive oil, a dash salt, and pepper. (I always like to season my rice a little). 4. Combine the diced tomato, red onion, and green pepper in a medium bowl, and add in the remaining olive oil, salt, and paprika/taco seasoning. 5. 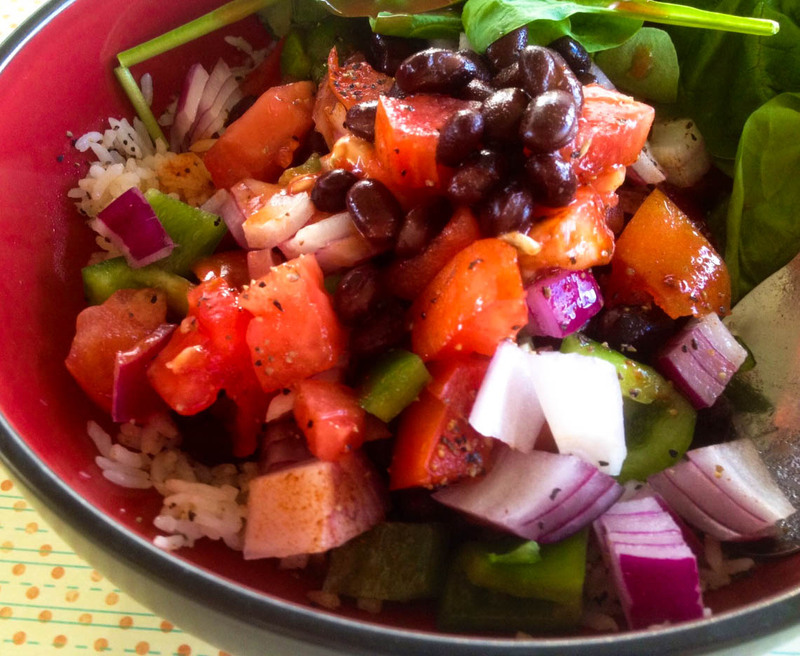 Add the ingredients to the burrito bowls: layer the rice, some black beans, the veggies, and then another layer of black beans. Add some spinach on the side, and then top with hot sauce/salsa/taco seasoning (or all three). Serve with tortilla chips. ♥ Add this to a wrap and take to school or work for a delicious lunch. ♥ Add some Avocado Cream Sauce or guacamole for even more flavor. ♥ Serve with margaritas on a Friday night (or on any night ending in "y").